I think the following list represents some of the most informative and useful articles on FitEyes.com. There are thousands of articles on FitEyes.com, so many good ones will not be on this list. But this list is a good place to start reading if you are new to FitEyes.com. If you are not new to our site, please make sure you have seen these articles. Please feel welcome to add comments to this post to mention your own favorite articles on FitEyes.com. 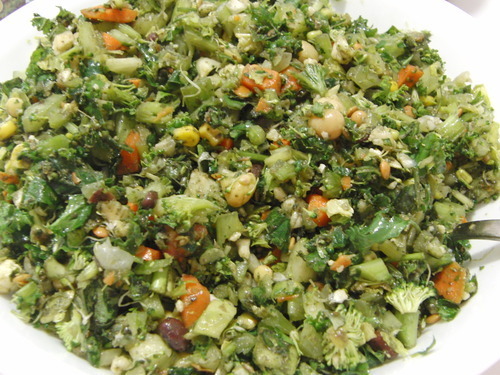 Here are some pictures of my superfood salad along with the recipe. 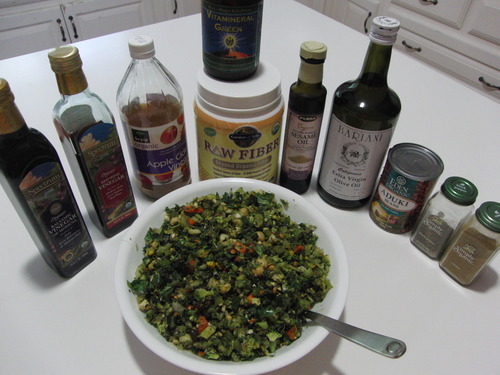 While the recipe calls for a specific amount of various healthy oils, I add balsamic, red wine and apple cider vinegars to taste after the salad is served. Since 2006, FitEyes has published many informative blog posts about eye health, self-tonometry, glaucoma, and Alternative medicine. We continue to add to this list of favorites. 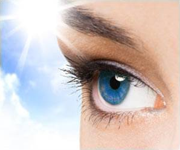 We think you will enjoy reading and commenting on this very best of FitEyes content. Portions of the brain that activate when people view pictures of objects compared to scrambled images can also be activated by touch alone, confirms a new report published online on May 28th in Current Biology, a Cell Press publication. "That's the nub of the paper," said Harriet Allen of the University of Birmingham. "Part of the brain is for object processing irrespective of the sensory input coming in."